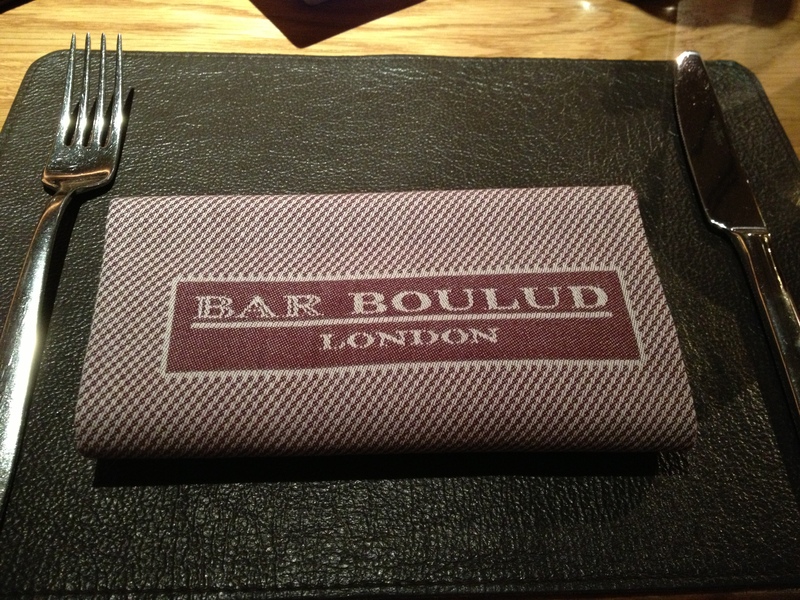 French Chef Daniel Boulud – say it with me, dan-yell boo-loo – decided to give his name to another restaurant and opened Bar Boulud in London’s Mandarin Oriental Hotel in 2010. Reviews ranted and raved about his dishes, but I never got around to trying it. 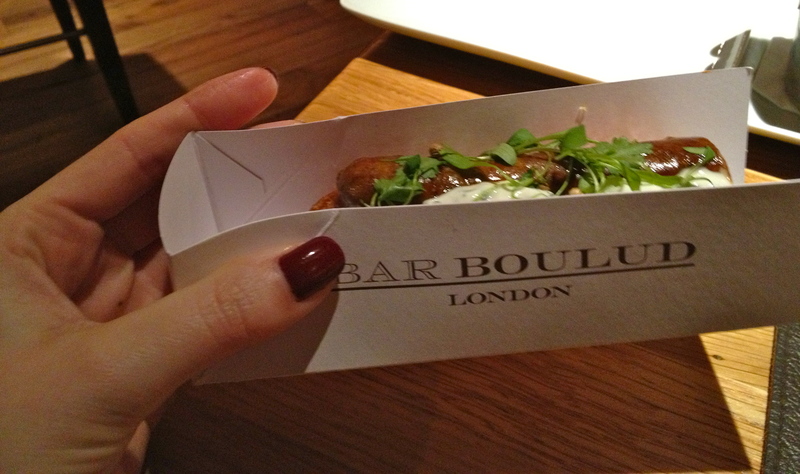 In fact, the first time I ever tasted one of Boulud’s dishes was two years later at Taste of London 2012. You may recall me raving about a certain perfect hot dog here. 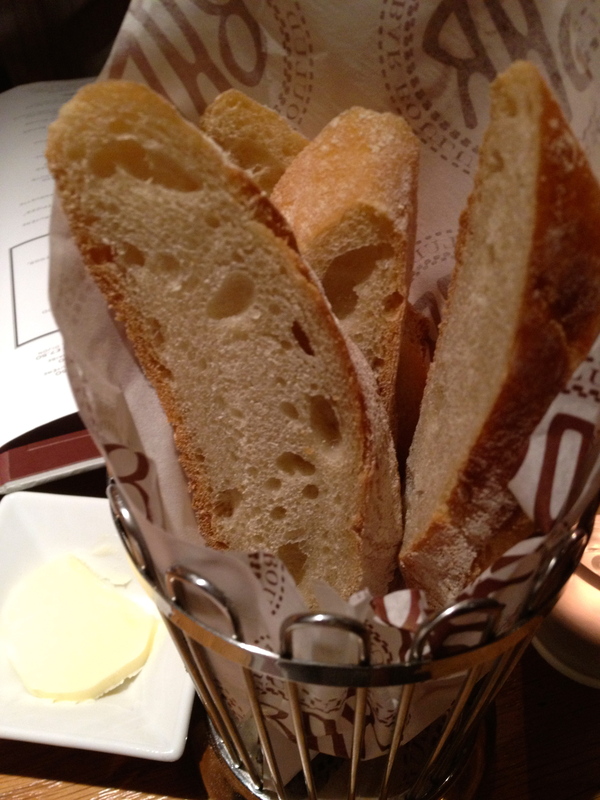 Well, this bad boy belonged to Mr. Boulud himself. We quickly decided that this was going to be a filthy celebration of maximum caloric intake. A mandatory order of the Tunisienne Hot Dog was made. 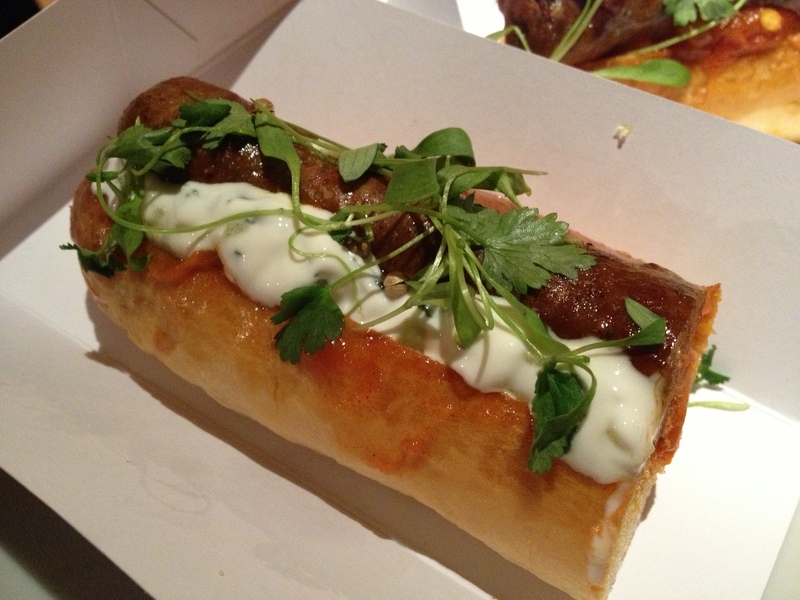 A spicy lamb merguez served on a brioche bun with mint yoghurt and pepper stew. 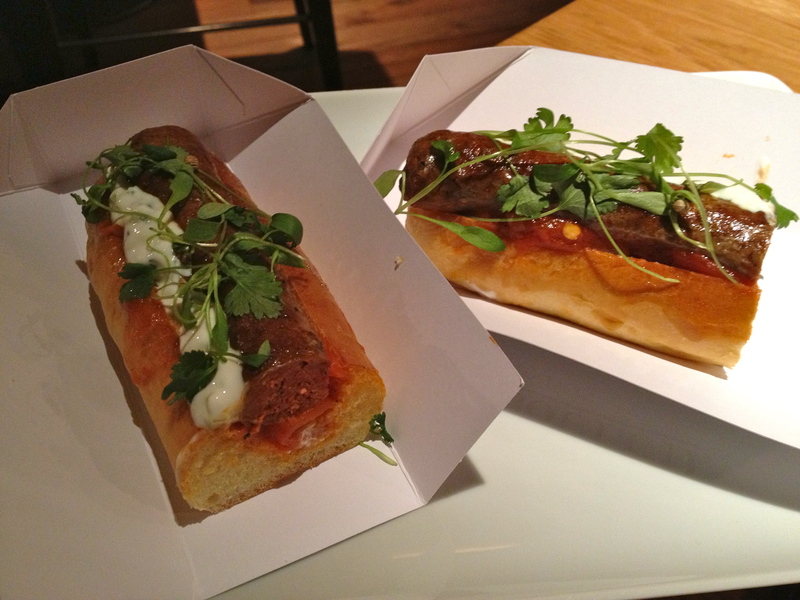 The Tunisienne had great flavour from the mint yoghurt with a little bit of kick from the pepper stew, but was missing that snap that completes the perfect hot dog. A little bit let down, we moved on to bigger and better things. From a selection of New York Grilled Beef Burgers we ordered the Piggie and the “BB”, as well as a mountain of frites. The award winning Pigge is a beef patty topped with bbq pulled pork, green chili, mayonnaise, bibb lettuce, red cabbage slaw and melted cheddar on a bun. I must start by saying this little Piggie made me go wee wee wee all the way home. 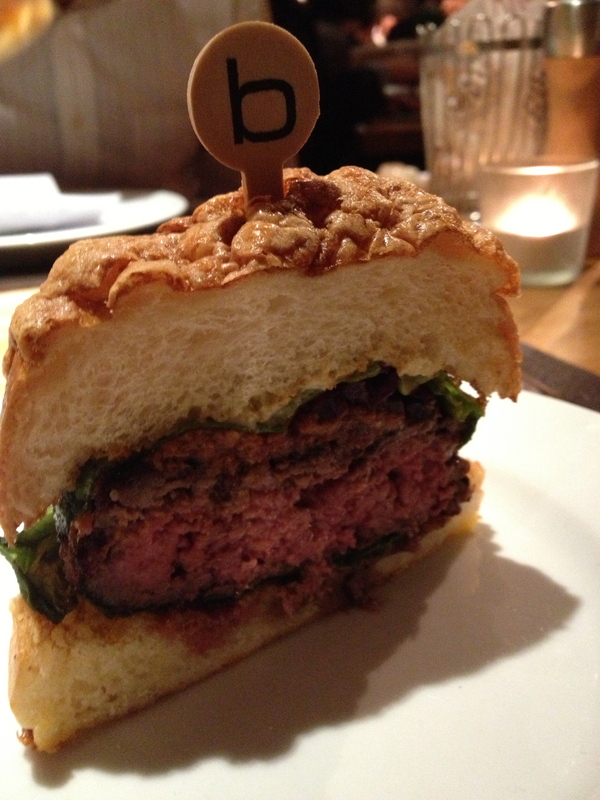 I couldn’t stop talking about the perfection of this burger and wish we had stopped our order here. The texture from the cheddar melted on top of the top of the bun is what I would like to call the cherry on top. Beneath this cheesy bun lay perfect pulled pork, crunchy red cabbage slaw, crisp bibb lettuce, spicy chilli mayo and a smoky, succulent beef patty cooked to perfection. This little piggie didn’t stand a chance. Then we came to the BB. 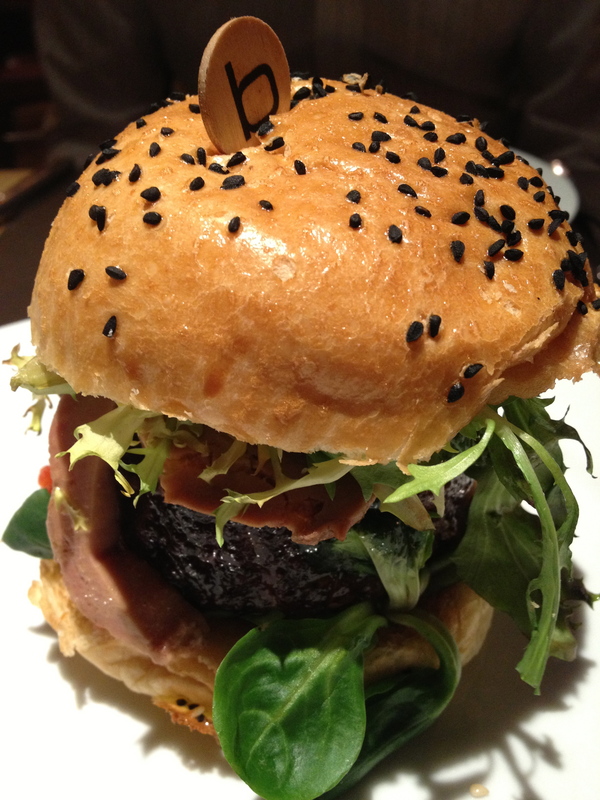 A luxurious, if not gluttonous, combination of beef patty, foie gras, red wine braised short ribs, truffle frisée, horseradish mayonnaise and confit tomato on a black onion seed bun. 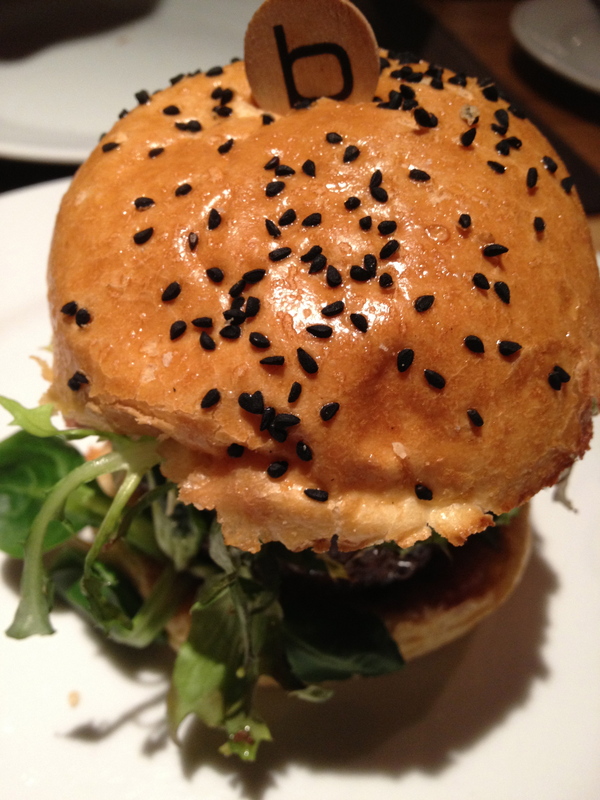 Although the generous serving of foie was creamy and added a nice, rich texture to the burger, there’s nothing else about this burger I enjoyed. The beef patty was overcooked, truffle was overpowering of both the horseradish mayonnaise and confit tomato and the braised short ribs seemed unnecessary. Each ingredient should enhance and complement the dish, yet this burger felt more like what can we throw on here to make it more extravagant. I was incredibly disappointed and wished that this little piggie had ended on the Piggie. Our lovely waiter took the burger off our bill which left me slightly less bitter before ordering dessert. Recovering from the bitter end of our meal, we over ordered on dessert. 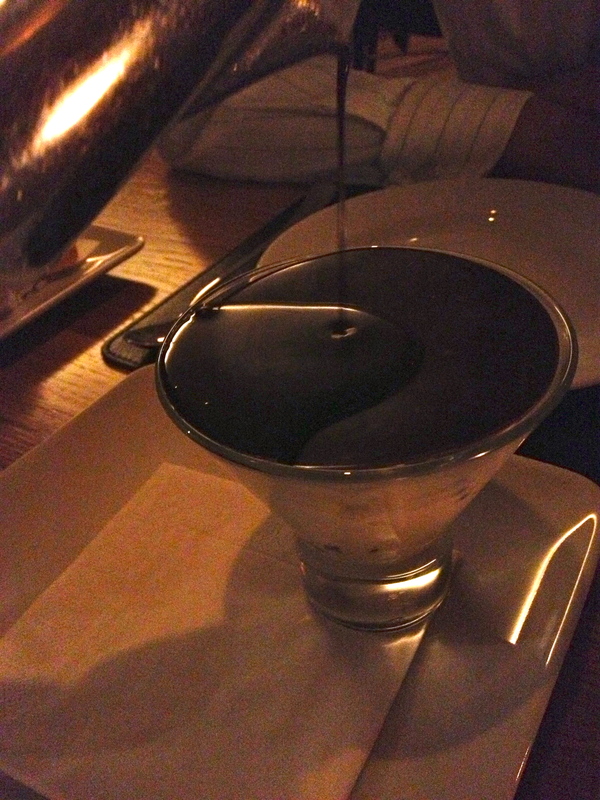 First, the theatrical Coupe Peppermint suggested by the waiter. Flourless sponge with hot chocolate sauce and mint-chocolate ice cream. 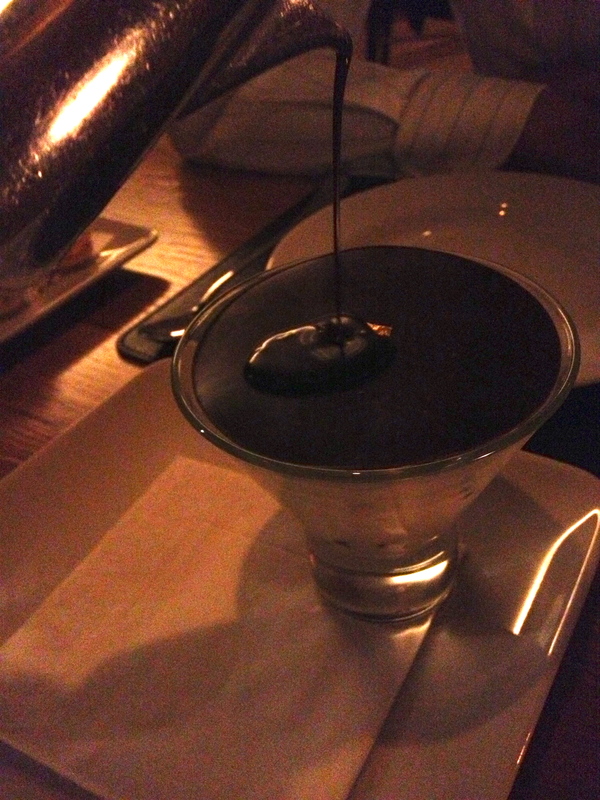 The chocolate disc on top was melted by a hot chocolate sauce poured over the top. This caved into the mint-chocolate ice cream below which had the flavour of fresh mint, rather then that fake, spearminty flavour. As a result of the hot chocolate, it all became a sort of soupy, minty mush. And the described flourless sponge was apparently one bite-full hiding at the bottom which I wasn’t quick enough to taste. 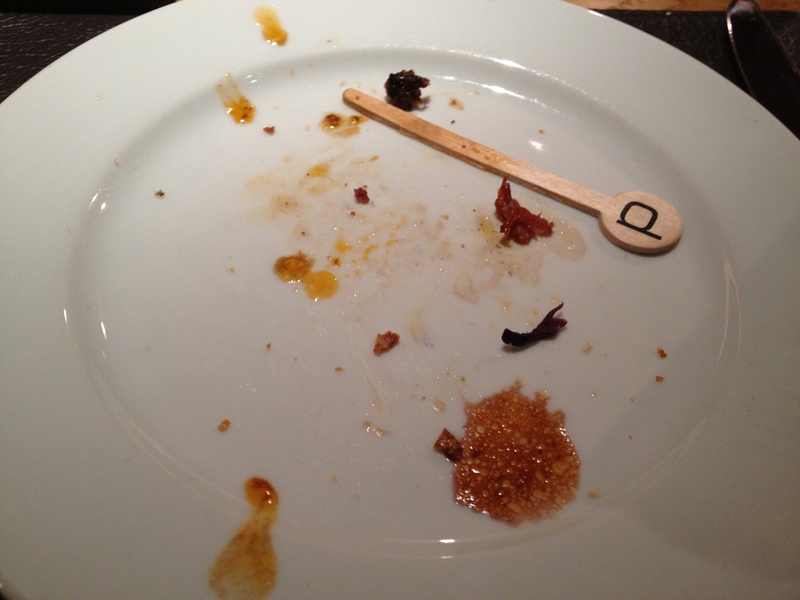 Overall, although the presentation was exciting, the flavours and textures were not. Next to try was an assortment of macarons. Now I must warn you, the macaron happens to be my favourite sweet treat and over the years I have become a bit of a macaron master through extensive taste testing research. 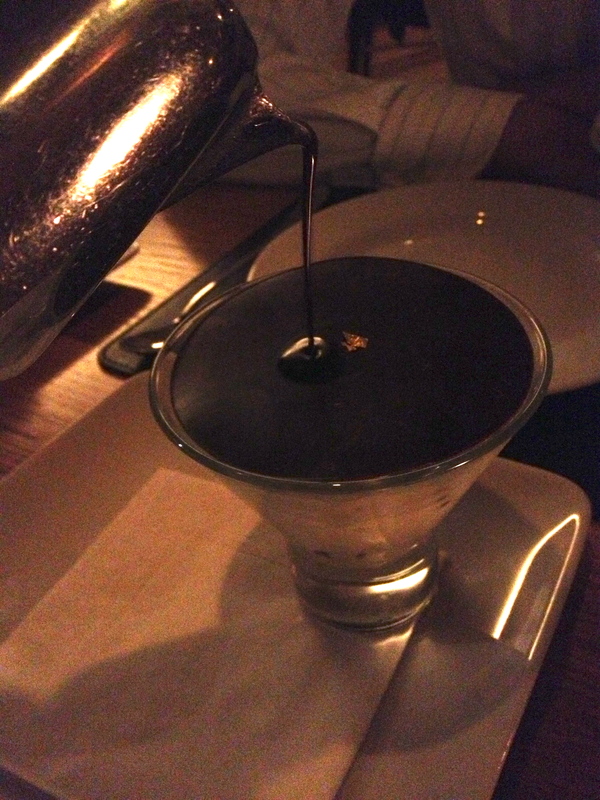 This frequently results in over-analysation of these finicky confections and I’m often left disappointed. 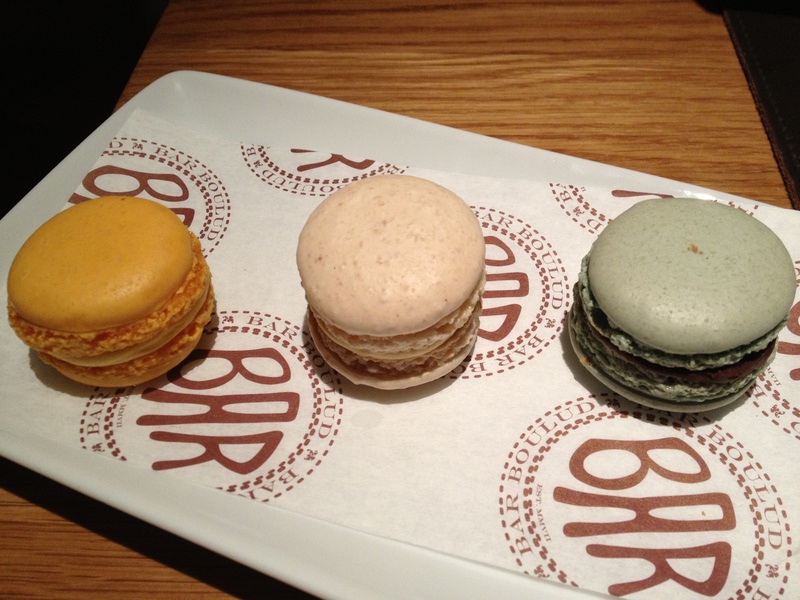 Hesitantly, we ordered the assortment of macarons: chocolate lime, hazelnut and passionfruit. Have you ever smelled a citronella scented mosquito candle? If so, you’ll know exactly what this chocolate lime macaron tasted of. I can safely say both mosquitos and I will be staying far away from it. The hazelnut macaron didn’t have the perfect texture, but had a nice, if not muted, flavour of hazelnut. To save the day/plate, the passionfruit macaron had good texture and a lovely, strong passionfruit flavour. Overall, I’d give a 1 1/2 out of 3. 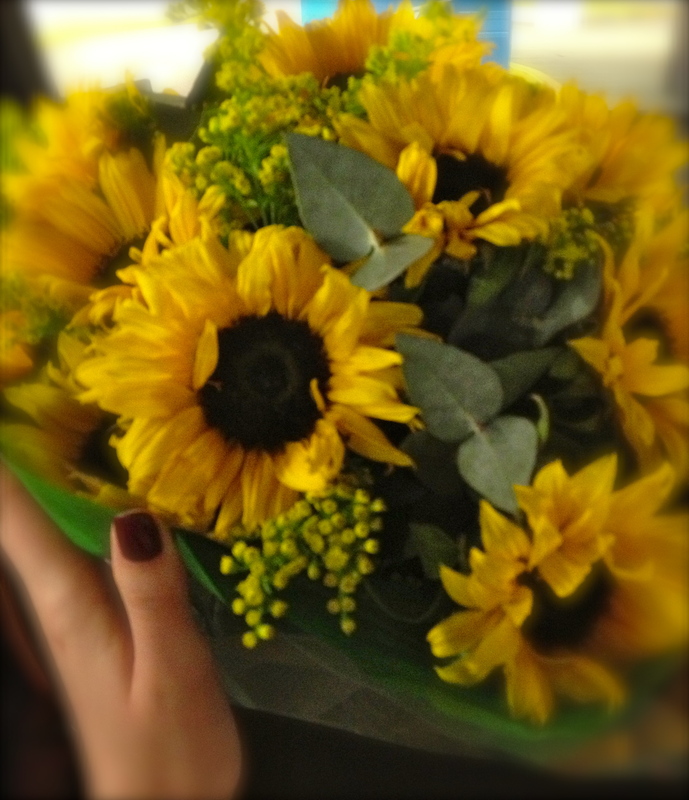 To finish on a sweet note, the Birmane. Fresh mango julienne, saffron crumble, mango orange mousse and a blood orange sorbet. 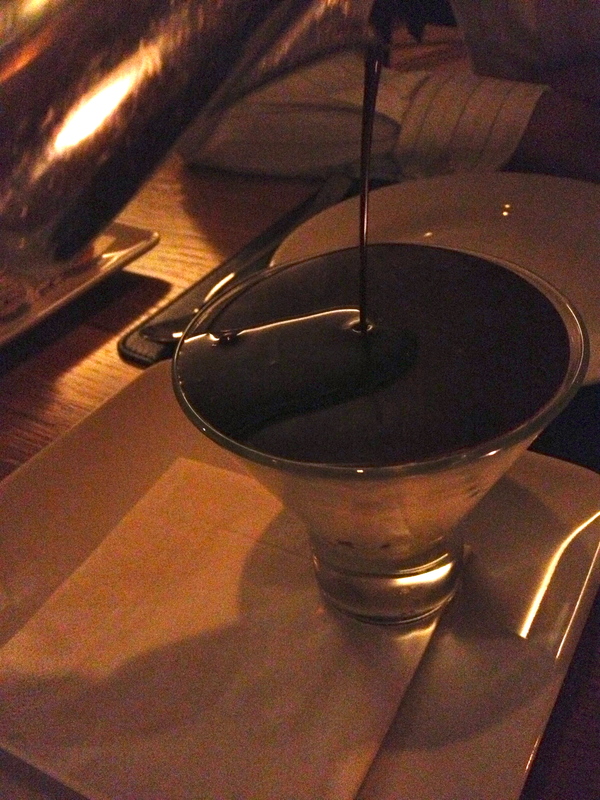 The presentation was simple but beautiful in a small glass. 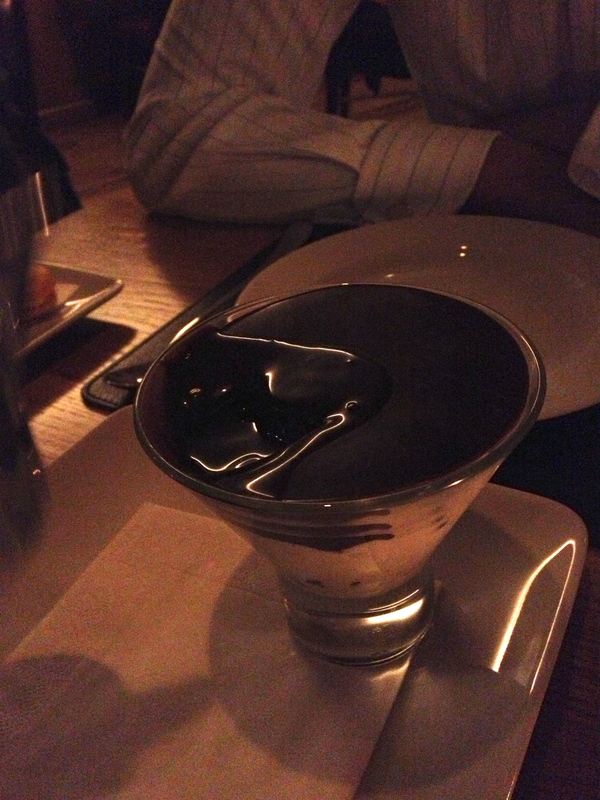 The mousse was creamy and sweet and contrasted perfectly with the cold, sour sorbet. I only found one piece of saffron biscuit, but enjoyed the snap of saffron. 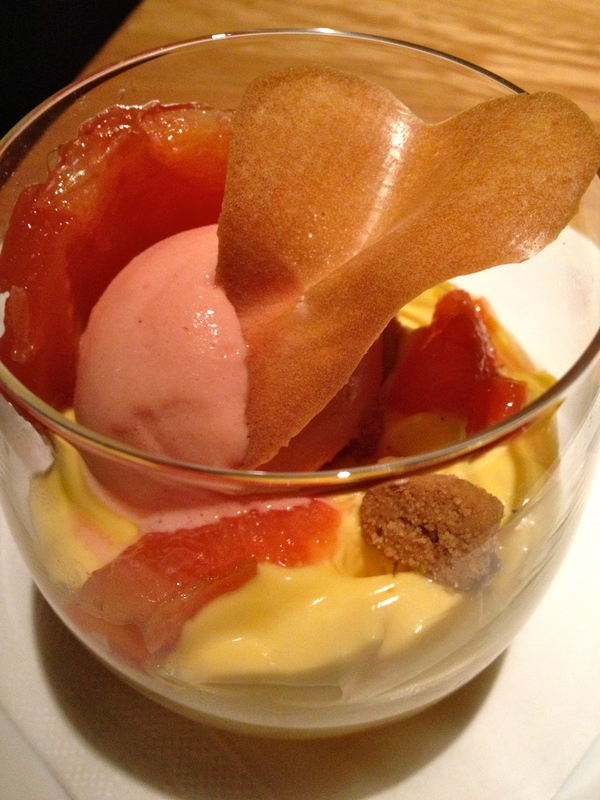 The pieces of juicy blood orange and strips of mango added a great texture and overall I really loved the dessert. 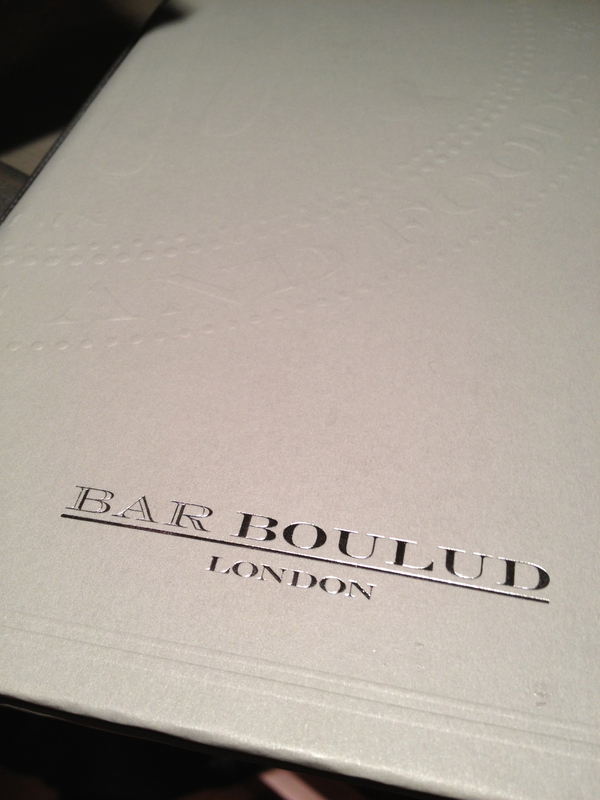 The food at Bar Boulud was good and I’m assuming that a one off mistake was made. 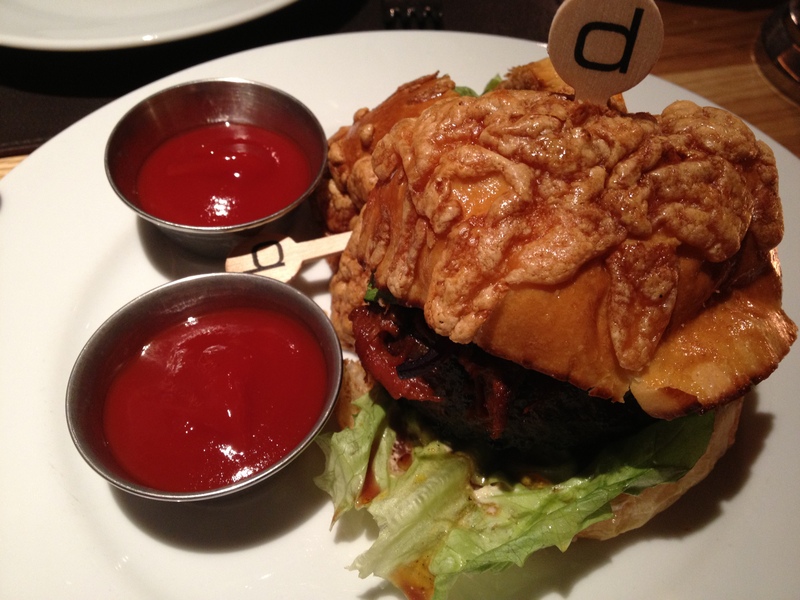 The service was great with knowledgable, friendly staff that were attentive and happy to rectify the burger mishap. You can book a romantic date or caloric massacre here and I’d thoroughly recommend making a reservation as this place fills up quickly.